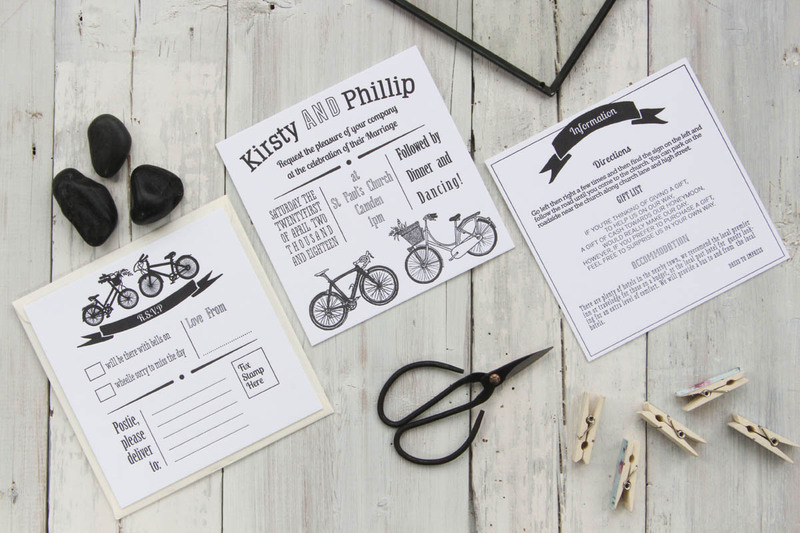 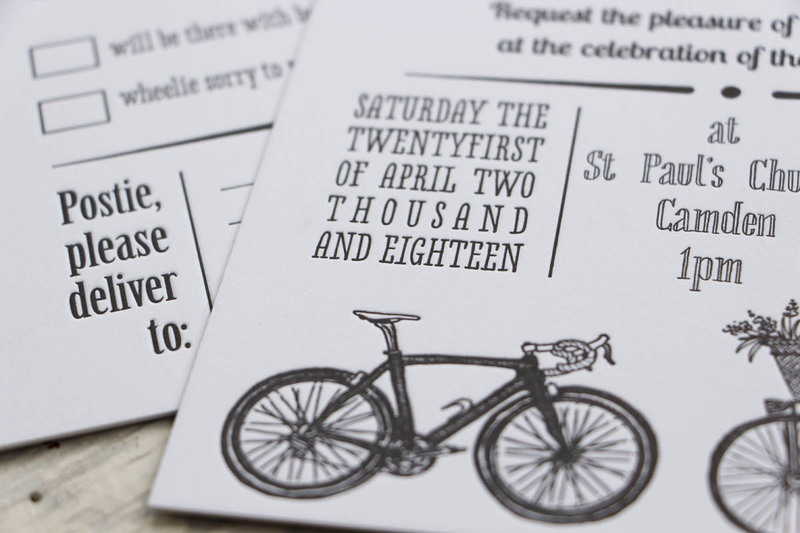 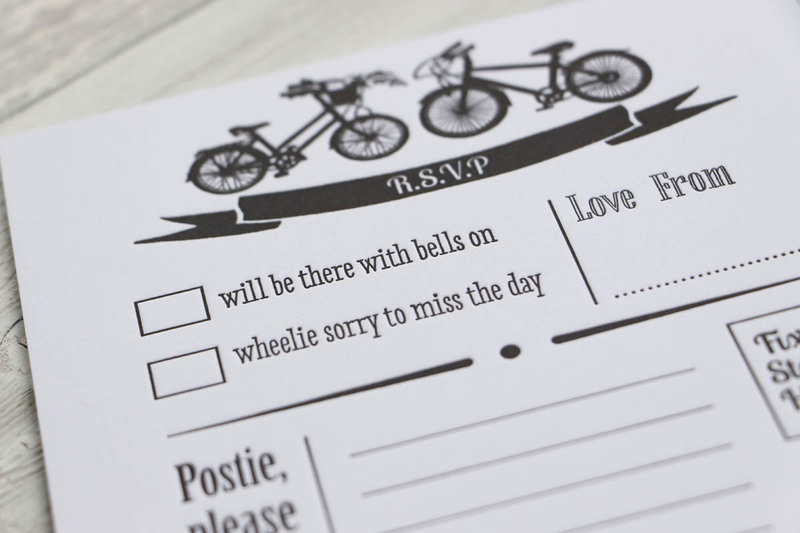 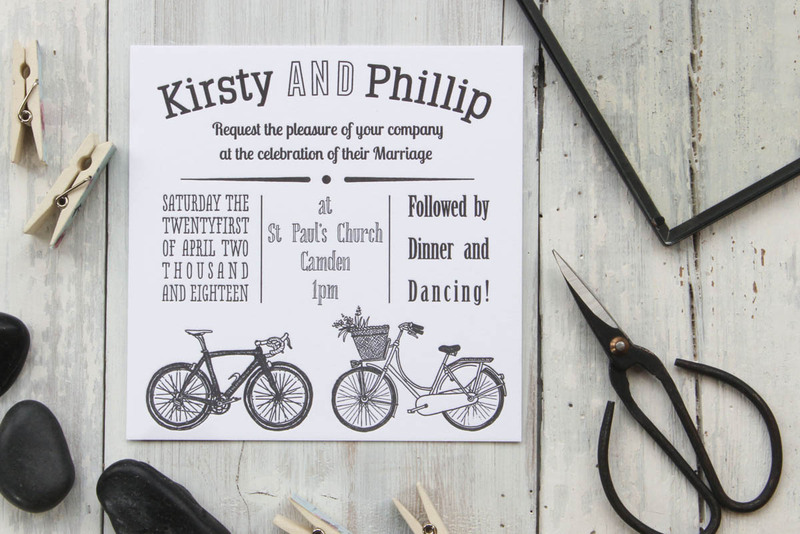 Perfect for bike lovers and cyclists everywhere, this classic design combines a subtle art deco influence with a quirky mix of typography, to create a stylish invitation. 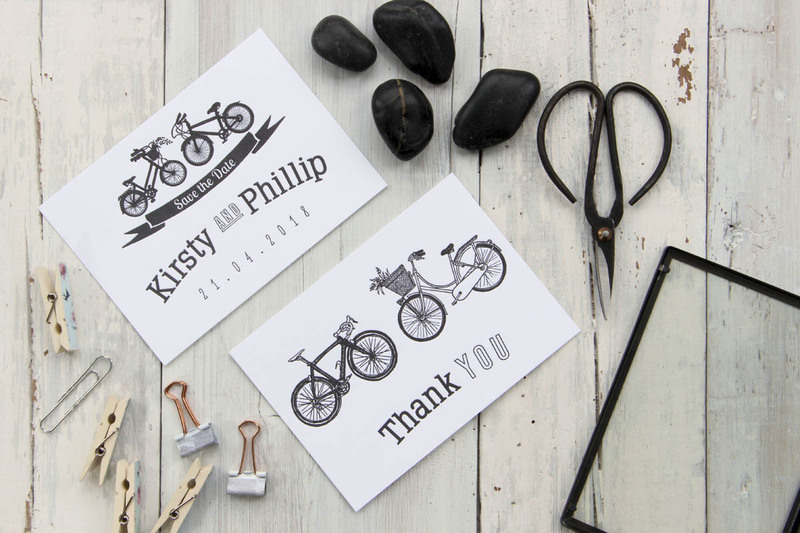 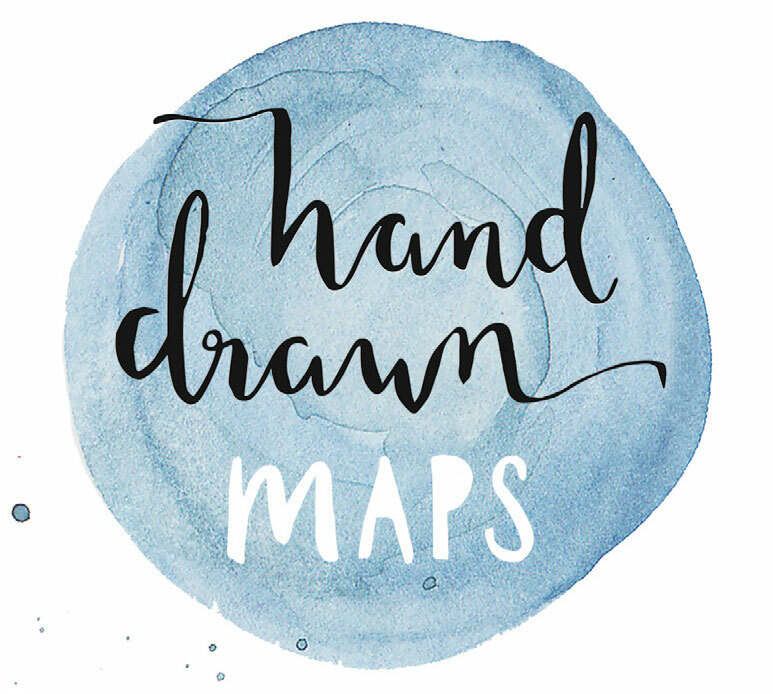 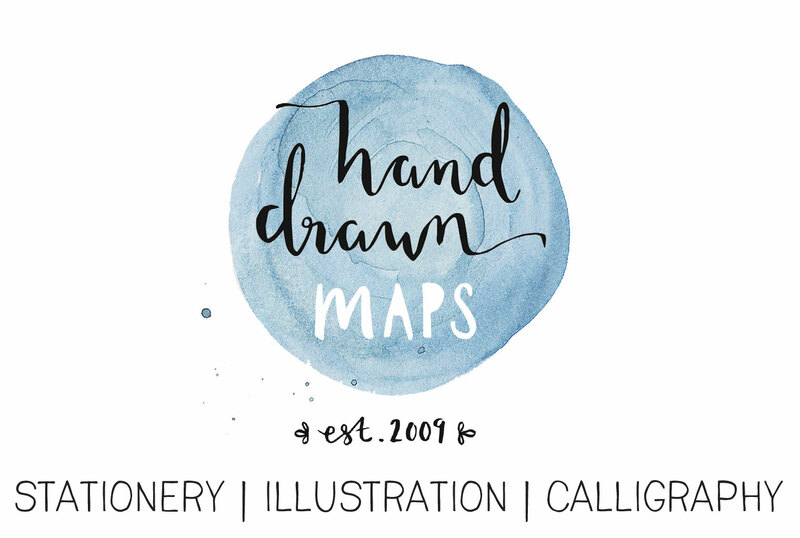 The range is suitable for letterpress and digital printing and works equally well with one or two colours. 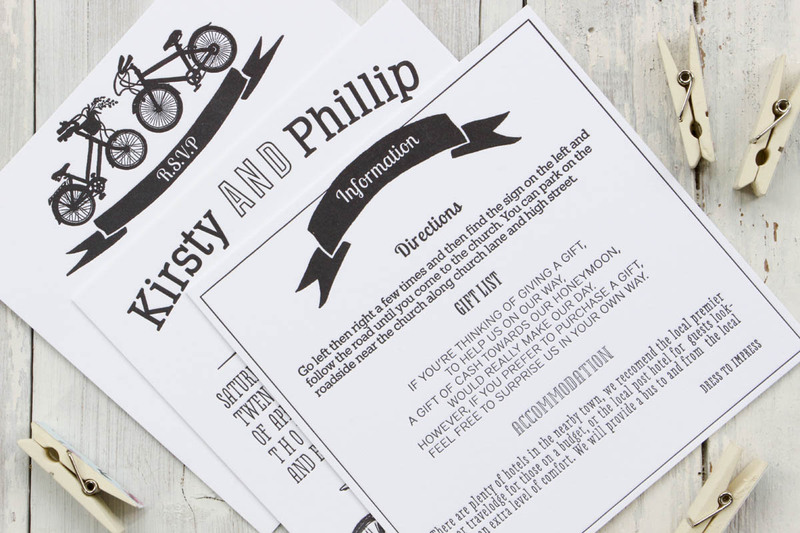 You can chose from a wide selection of Pantone shades to match the design with your wedding colours.